Trials take place at my house in Quedgeley. The consultation lasts about 1 hour 30 minutes to discuss your big day in more detail. My tip is to always think timeless and classically beautiful as you don't want your photographs to date. Be in sync with the colour scheme and totes of the wedding. The best bridal makeup is an even more beautiful, polished version of yourself. It's a good idea to come wearing a white or ivory top and be prepared with any pictures of looks you like that you want to discuss with me or re-create - Pinterest is full of ideas. If possible it is a fantastic idea to coordinate your hair trial on the same day too, with both myself and your hairdresser. That way you can see the overall look together. I normally do Bridal Makeup trials from Wednesday- Friday. On your wedding venue I travel to your wedding venue or address where you are getting ready from. I cover Gloucestershire & Cotswolds areas. I always like to arrive with plenty of time to set up and always like to stay until all my brides are in their dresses. Just incase we have any tears! As it is my aim to make sure that you look absolutely perfect and I like to freshly apply lipstick just before your about to leave. Lessons are completely tailored to suit your individual needs. From basic techniques, evening looks. Discussing your own makeup bag - what works and what may need replacing. Your personal colour palette and what suits your skin and eye tone. Abroad makeup is a one to one workshop designed to give you the confidence to apply your own wedding day makeup that will last all day, look gorgeous in daylight and photograph's like a dream. Plus will last in tropical climes for longevity. To match your dress and possibly include lashes, glitter and highlighting. Price includes false lashes if required. Please note: I cover Gloucester / Stroud areas only for this service. Hen Party 'Get Ready' Makeup bookings before you go out. Enquire as prices depend on numbers. I cover across the Gloucestershire and the Cotswolds area. To secure your date a £40 non-refundable deposit is required. This amount is deducted from your final balance, the remainder please kindly arrange this payment to be settled 2 weeks before your wedding day. *Note travel over 15 miles from Quedgeley will be charged at 60p per mile. A women can look her most beautiful with makeup that enhances her natural beauty. My kit includes high end quality products only that are well known in the beauty industry. They provide a professional finish, meaning the makeup lasts longer on your skin, are a dream to work with, and even last in testing environments such as heat and humidity. The make-up products I use include, MAC, Charlotte Tilbury, Estee Lauder, as well as YSL, Urban Decay, and Too Faced. I consider myself to be a super organised person, calm and professional, who likes to meet people and put them at ease and spoil them. I specialise in how makeup can make a women feel, choosing colours and contouring to compliment colouring, face, lip and eye shapes. 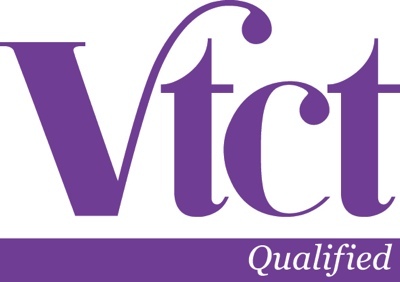 I am VTCT qualified and Love Bird Makeup is fully insured by Pro Beauty. Included in my kit bag are products by MAC, Estee Lauder, YSL, Urban Decay, Too Faced, and I am constantly adding to my kit bag as I am a Makeup junkie! Top quality face and eye shadow primers are always used, long wearing foundation's and concealers, waterproof mascara, pencils and gel liners, long wear lip primers and lipstick. Tip - you should only have to touch up your lipstick on the day, due to kissing, eating & drinking at weddings! Ask a Bridesmaids to carry one for you.